The real losers as a result of Benazir Bhutto’s elimination from politics were the people. BENAZIR Bhutto occupies a unique place in the political history of Pakistan. Twice elected prime minister of the country and the first woman head of government in any Muslim-majority state, she inspired the hope that she could put democracy back on the rails. Inability to fulfil this expectation dented her image somewhat. Allowed to complete neither of her two terms and hounded from one court to another for a long time, she was compelled to spend a decade in self-exile. Yet the establishment never stopped fearing her as a potential game-changer; a threat that could only be averted with physical liquidation. Several factors contributed to her enormous popularity at the start of her political career. Young, charming and well-educated, she commanded sympathy across the land as the daughter of a former prime minister who many thought had been hanged unjustly. She had also won admiration for refusing to surrender to General Ziaul Haq’s autocratic rule despite cruel harassment. Within 28 months of her return from self-exile, General Zia perished in a plane crash which removed a big roadblock on the path to democracy. Also during these months, she became the wife of Asif Ali Zardari, a marriage that was going to considerably affect her political career. As the judiciary declined to restore the dismissed government of Mohammad Khan Junejo – though its sack by Zia was not upheld – and struck down the law on parties’ registration which endorsed party-based elections, the prospects for Benazir looked good. Also welcome was the flow of professional election fighters towards her Pakistan People’s Party. However, there was no illusion about the task of return to democracy having been made extraordinarily daunting by the outgoing – and dead – dictator. He had transformed the form of government from parliamentary to presidential, and turned the state into a virtual theocracy. Above all, his Afghanistan policy had embroiled Pakistan in a many-sided crisis that was getting worse by the day. 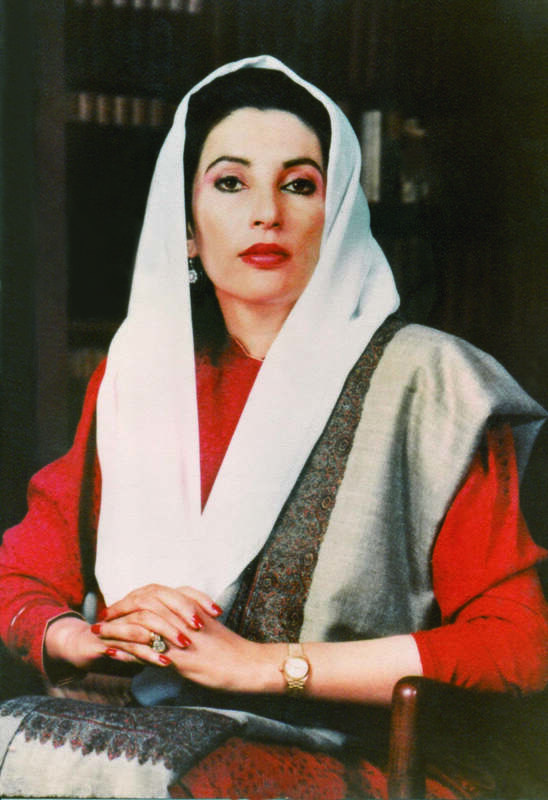 The election to the National Assembly on November 16, 1988, did not give Benazir Bhutto a majority in the house, but her party emerged as the largest single group, having secured more seats (52) from Punjab than were won by the Islami Jamhoori Ittehad (IJI), an alliance clobbered by the establishment as a successor to the anti-Bhutto coalition of 1977 – the Pakistan National Alliance (PNA). Three days later, apparently the establishment struck and did so most viciously by manipulating the provincial elections in Punjab to ensure that the IJI got more seats (108) than the PPP (84) and, thus, cleared the way for Mian Nawaz Sharif to become the chief minister of the politically most advantaged province. That effectively changed not only Benazir’s career but also the course of Pakistan’s history. A Zia amendment had empowered the president to first nominate the prime minister before she/he could be elected by the National Assembly. President Ghulam Ishaq Khan did not name her as prime minister for nearly two weeks, until she had ceded to him and the military her authority in key areas, such as Finance, Defence and Foreign Affairs, especially Afghanistan. Yet she decided to take her chance. 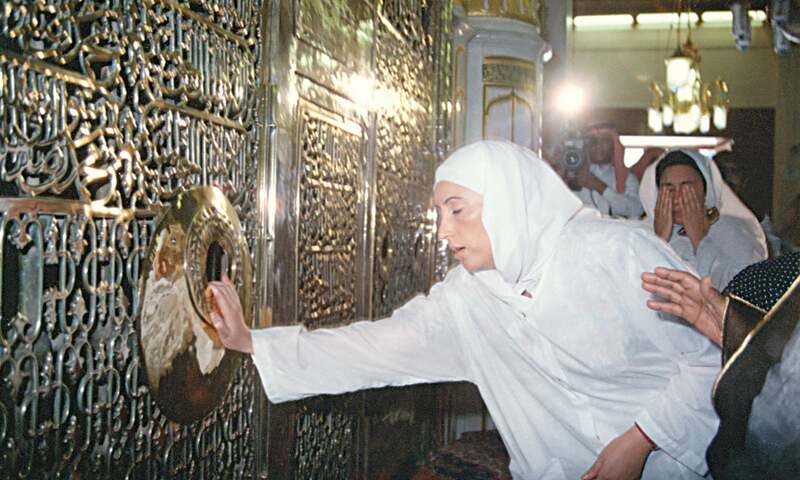 LIKE most of her predecessors, one of the things Benazir did on her elevation to the office of the prime minster was to visit Saudi Arabia to perform Umrah. 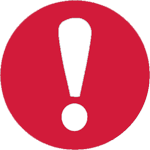 | Photo: The Directorate of Electronic Media and Publications [DEMP]. She started on a sound note, making a humanitarian gesture by offering relief to death row prisoners. She also strengthened her regime through alliances with the Mohajir Qaumi Movement (MQM) for the stability of her government in Sindh, and with the Awami National Party (ANP) to bag the chief minister’s post in the North West Frontier Province (NWFP; since renamed Khyber Pakhtunkhwa). However, preventing Nawaz Sharif from undermining her government soon became Benazir’s main preoccupation. The Punjab chief minister rejected the federal government’s choice for the provincial chief secretary’s post, tried to launch a radio station and decided to found a commercial bank. These steps converted the Punjab elite to the idea of provincial autonomy, an idea it had vigorously spurned when raised by the other provinces, especially East Pakistan that had been got rid of 16 years earlier. 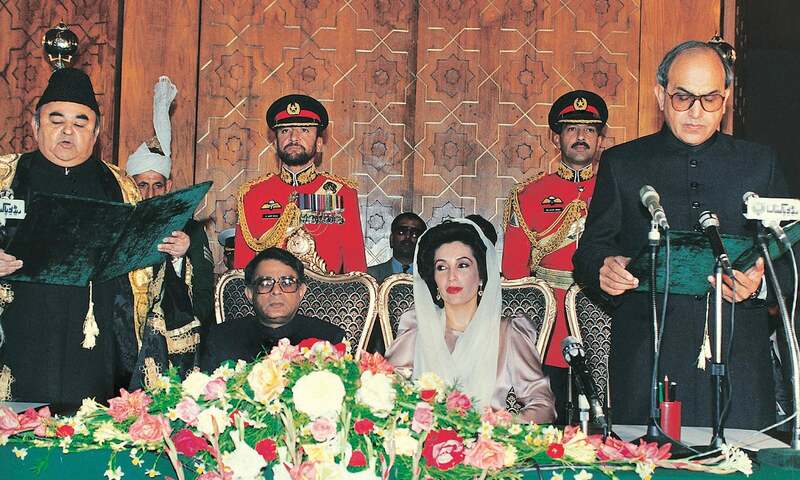 Besides, working was not easy alongside a president who had little respect for the parliamentary system even though Benazir had swallowed the bitter pill by proposing him for a five-year term as president. He contested her right to have a say in making important appointments, and often choked the government by simply sitting on the papers sent up to him. 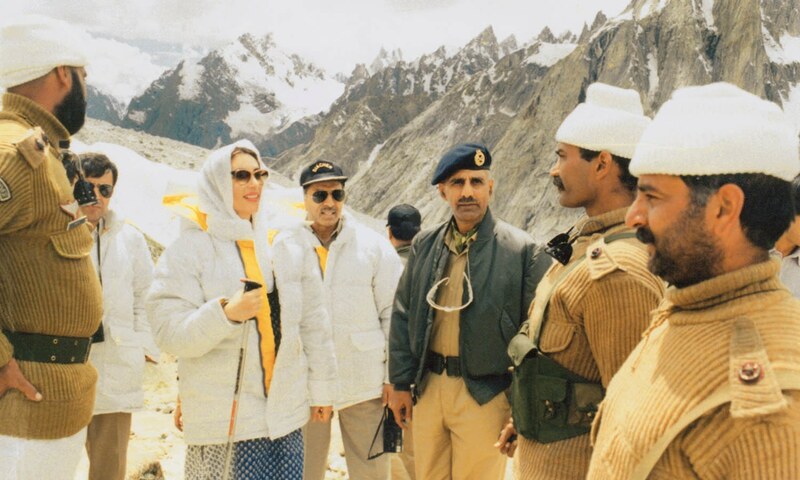 Benazir visited the conflict-ridden Siachen sector, becoming the first prime minister on either side of the border to do that.| Photo: DEMP. Adding to her worries were quite a few other problems. The Balochistan assembly was dissolved on the advice of chief minister Zafarullah Jamali as he was not sure of his majority in the house, but Benazir’s inability to set matters right before the high court restored the assembly shifted the blame on to her. Further, Benazir was not found good at retaining the goodwill of her allies. The break with MQM was no surprise as the pact with it was unworkable and the party had been seduced by Nawaz Sharif and their common benefactors. The alliance with ANP, too, was difficult to sustain but the efforts to save the Sherpao ministry in the NWFP did not add to the prime minister’s credit. The break with MQM was followed by a surge in violence in Karachi and Hyderabad. The Pucca Qila incident became a sore point for both sides. While dealing with Sharif’s challenge, the government clearly took an exaggerated view of its capacity to tame a rich provincial chief being backed by the establishment. 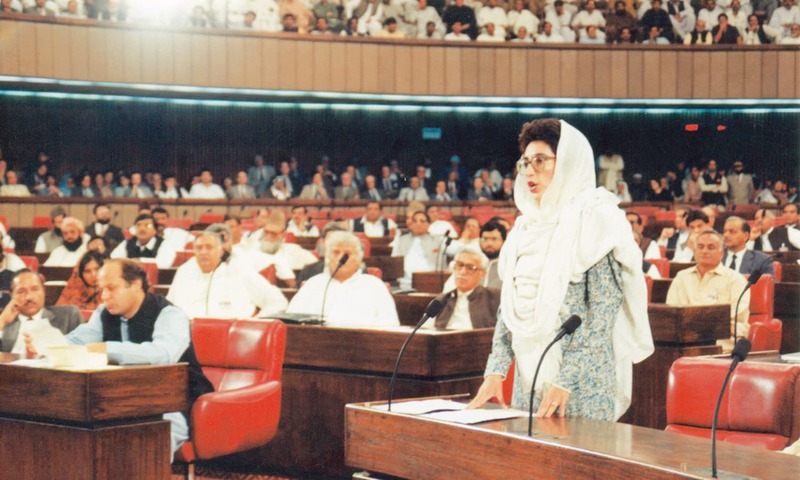 Before Benazir completed her first year in office, the opposition tried to dislodge her through a no-confidence motion that was taken up on November 1, 1989, and was defeated. However, the differences between the prime minister and the military on the one hand, and between her and the president on the other could not be resolved. On August 6, 1990, the president dissolved the National Assembly and Benazir ceased to be prime minister after barely 20 months in office. 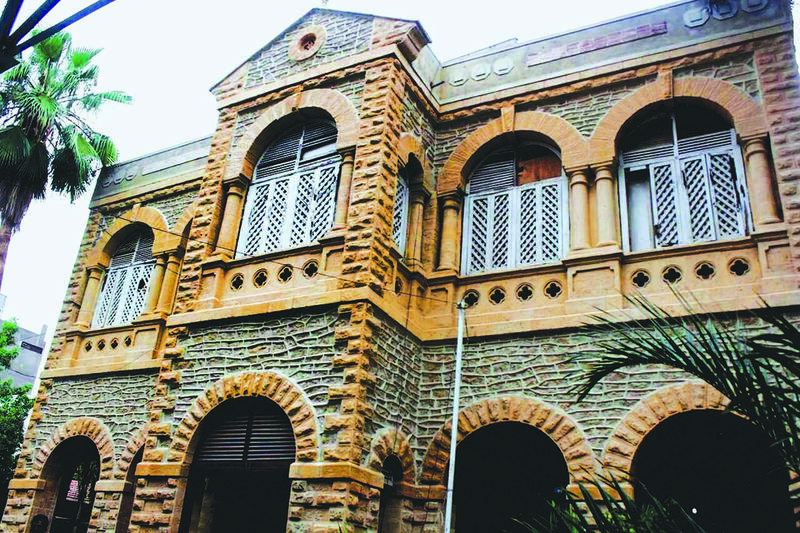 The charge-sheet against her included allegations of making the National Assembly dysfunctional, ignoring responsibilities to the federating units, lawlessness in Karachi, ridiculing the judges, and corruption. 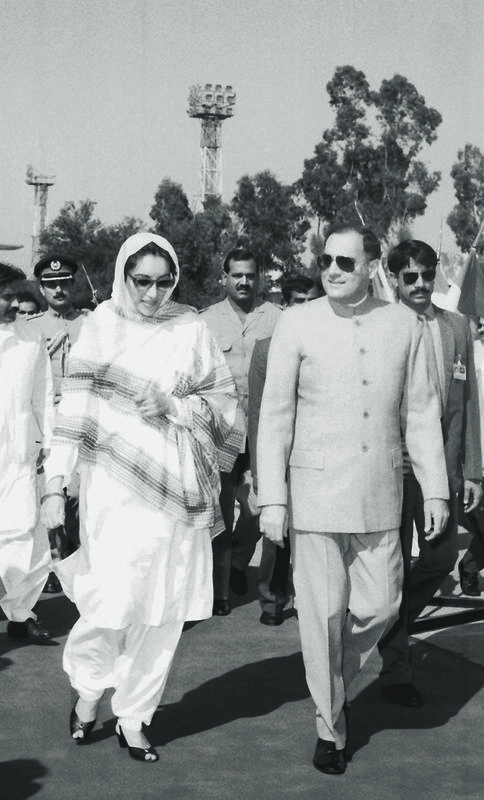 Benazir Bhutto was a gracious host when Rajiv Gandhi, her Indian counterpart, came visiting. The two at the time had tragic family histories behind them and, unbeknown to them, future gruesome and fatal tragedies awaiting them. | Photo: The Press Information Department, Ministry of Information, Broadcasting & National Heritage, Islamabad. In view of the appointment of opposition leader Ghulam Mustafa Jatoi as the caretaker prime minister, Benazir had little hope of winning the elections that were held three months later. In fact, her wait lasted three years when she came to power again after the October 1993 elections, which were held after president Ishaq and prime minister Sharif had knocked each other out. Once again her party emerged as the largest group in the National Assembly. With the help of the Junejo faction of the PML and some independents, Sharif’s party, the PML-N, was denied power in Punjab as well. Soon after her trouble-free election as prime minister, her nominee, Farooq Leghari, was installed in the presidency. She felt far more comfortable at the helm of affairs and more powerful than she had ever felt earlier. She began asserting herself by getting the PML-N ministry in the NWFP, led by Sabir Shah, suspended and governor rule imposed. The move was struck down by the Supreme Court. Then she set about changing the composition of the superior judiciary apparently to tame it and the subterfuge was quite unconvincing. This became the subject of a bizarre reference to the Supreme Court by president Leghari that the prime minister bitterly opposed. Eventually, Justice Sajjad Ali Shah, her controversial choice as chief justice, pronounced a judgment in what is now called the Judges’ Case that negated all her work. The other main developments during this term included a failed attempt to oust Punjab chief minister Manzoor Wattoo of PML-J; Sufi Muhammad-led uprising in Malakand for Shariah rule; a huge increase in killings in Karachi; a hike in terrorist attacks; and sectarian violence. Stories of corruption involving Benazir and Zardari also gained currency at an uncomfortable pace. The allegations, even if not proved in courts, clearly reduced the prime minister’s popularity and credibility in equal measure. Murtaza Bhutto’s return home and his arrest caused Benazir an ugly split with Begum Nusrat Bhutto, and his death after an encounter with the police dealt a severe blow to her government. Eleven days after the incident, on November 5, 1996, the president dissolved the National Assembly and Benazir was again out of power. The charges against her were Karachi killings (though the number had fallen by around 75 per cent from the 1995 figure), disregard for federal institutions, ridiculing the judiciary, and corruption. 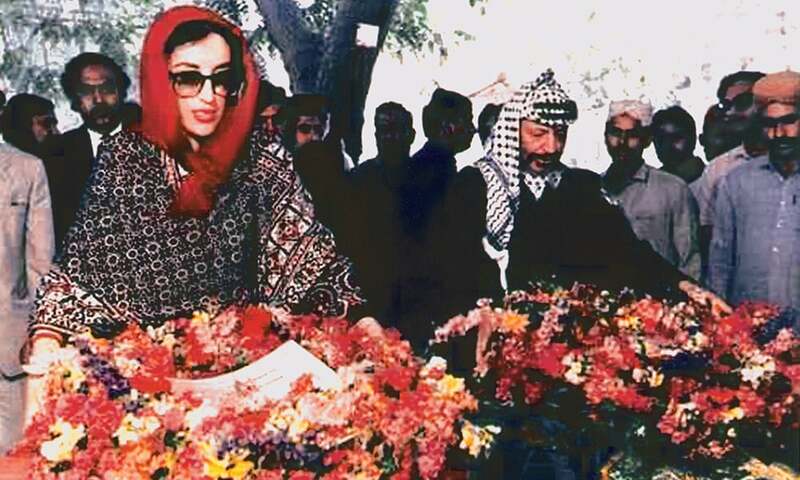 As subsequent events showed, this was the end of Benazir’s role in the country’s government though she remained active in politics till an assassin’s bullet silenced her for ever near the place where the country’s first prime minister, Liaquat Ali Khan, had been shot dead in a conspiracy of another kind. Benazir Bhutto’s positive work as prime minister included giving the government a humanitarian face. The commutation of death sentences to life imprisonment was followed by banning of lashing (except for Hadd cases) and public hanging. The plan to offer the disadvantaged relief through special tribunals did not work, so a separate ministry of human rights was created. Her effort to amend the procedure in blasphemy cases was scotched by the conservatives, but her instructions not to arrest any accused without a proper inquiry did lead to a fall in such cases. Women activists complained that she didn’t do anything substantial for them, but they could not deny the favourable ambiance Benazir had created. And her uncompromising resistance to pseudo-religious militants was not matched by anyone, with the possible exception of Afzal Lala of Swat. 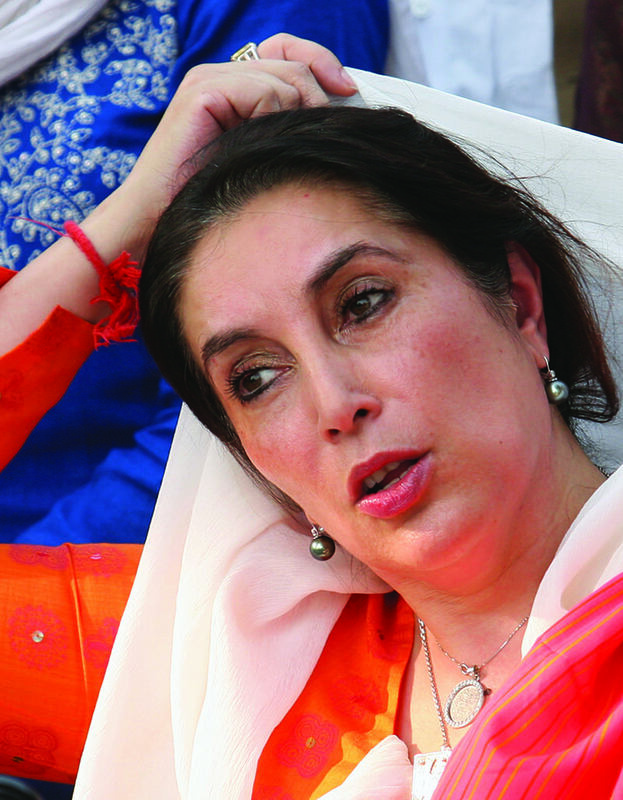 The hurdles that held Benazir back included the absence of a culture of democracy; the habit of political parties to treat one another as their worst enemies and a tendency among them to destroy political rivals with military’s help; the personality cult in the PPP and its centralised decision-making without democratic centralism; and the politicians’ failure to remember that what was not permitted to authoritarian rulers was prohibited for them too.The PPP also suffered as a result of its shift away from a left-of-centre platform as it blunted the edge it had over the centrist outfits. An assessment of Benazir Bhutto’s prime ministership usually takes two forms: one, that she was incapable of establishing a democratic order, and, two, that the establishment did not let her work. A realistic view will begin by noting the absence of a stable, efficient and fair-minded state apparatus that could relieve her of routine chores and allow her to concentrate on broad political and socio-economic issues. Also, no politician could (or can even today) roll back the Zia legacy through a frontal attack, except for a popular revolution. Besides, the deeply entrenched, highly trained and generally better informed establishment needed to be outmanoeuvred in a subtle and adroit manner. Benazir Bhutto was outmanoeuvred by the dominant power centre and she might also have sometimes unwittingly helped it. The real losers as a result of Benazir Bhutto’s elimination from politics were the people. Their concerns remained off the government’s agenda and the dream of a democratic and egalitarian Pakistan receded even further. This story is the tenth part of a series of 16 special reports under the banner of '70 years of Pakistan and Dawn.' Visit the archive to read the previous nine reports. While that sort of thing drives some correspondents to the airport, others at least appreciate the charm with which these diplomatic untruths are delivered. And from a journalistic point of view, there are mitigating circumstances. Pakistan produces so much news. With violent jihadis, nuclear bombs, the drugs trade, insurgencies and endless amounts of vivid colour stories, it is impossible to be short of things to write about. And there’s something else. Put a microphone in front of a Pakistani and the mildest mannered individual will, at a moment’s notice, turn into an impassioned political activist proclaiming the virtues of his or her political hero whilst despairing about the venal corruption of everyone else’s. It’s all great copy. Cynics might say that the politics of Pakistan have the quality of a soap opera in which the lead characters – and their offspring – vie for power in a largely pointless competition between self interested, grossly wealthy, elitist egos. Maybe. But it’s fun to watch. And the press itself has had a tumultuous history filled with large characters, great courage, high principles and low venality. In the early days it was all about Ayub Khan’s battles with the Pakistan Times. It was also an era when people all over the country turned to BBC Urdu as a source of impartial news. As for television, PTV, for its first quarter of a century, enjoyed a monopoly that remained intact until two international channels, the BBC and the CNN, came onto the scene offering an alternative to the official view. As the BBC Pakistan correspondent on the night of October 12, 1999, I experienced the somewhat terrifying responsibility that came with working for what, at the time, was probably the most trusted news source in the country. PTV, always weakened by the need to reflect the views of the government, was further disabled by being caught between two authorities – the government and the Army. CNN did not have anyone one on the ground. That left the BBC. Rumours of an Army takeover were spreading all over the country. People were tuning to the BBC to get an authoritative version of what was happening. If I called it wrong, the BBC would never live it down. When I arrived in 1998 people were still complaining about what they believed was a false BBC report about the Indian advance on Lahore in 1965. Could it, I wondered, be something less than a coup? An action to arrest the head of PTV perhaps or seize some film? A holding operation of some kind? How to be sure? 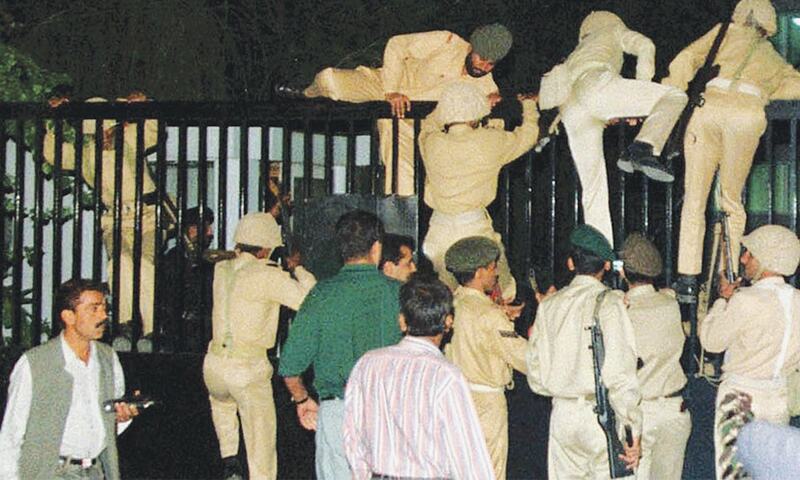 “Soldiers have climbed into PTV,” I hedged. “I can’t say it is a coup but it certainly looks like one.” And then some anxious minutes to see if even that rather mealy-mouthed version of events stood the test of time. That was only 20 years ago but already those days seem like ancient history. General Pervez Musharraf’s decision to enable the establishment of private channels transformed Pakistan’s media scene. It is often said that the military only agreed to the reform because India outdid them when it came to whipping up a war fever during the Kargil conflict. India’s private-sector channels had a clear, melodramatic edge over the rather stolid efforts of PTV. Whatever the Army’s true motives, the outcome has been remarkable, with a babble of news channels both radio and TV now churning out news in many languages 24/7. The impression of media diversity, however, is illusory. The channels may compete for viewers but they air strikingly similar opinions. It’s free speech of a kind – but everyone knows the limits. It was ever thus. Many of Pakistan’s military and civilian leaders have bribed friendly journalists and imprisoned hostile ones. Some have even, to put it generously, failed to stop journalists being murdered. For the politicians it’s normally a case of trying to prevent negative coverage. The soldiers see it slightly differently. The press, they believe, is a weapon to be deployed on the information frontline, serving the Army’s version of the national interest. But both the politicians and the military top brass do agree about one thing: journalists are, by and large, upstarts who should know their station and do as they are told. The journalists – or at least an impressive proportion of them – have had different ideas. Even when General Ziaul Haq was describing the Karachi Press Club as “enemy territory”, many journalists responded by resisting authority. It was a difficult time. But the contest isn’t over yet. Whether its Geo’s 2015 allegations about the ISI or this year’s [Dawn story by Cyril Almeida], the state continues to draw red lines and the press continues to bump up against them. So where does Dawn sit in this new media age? 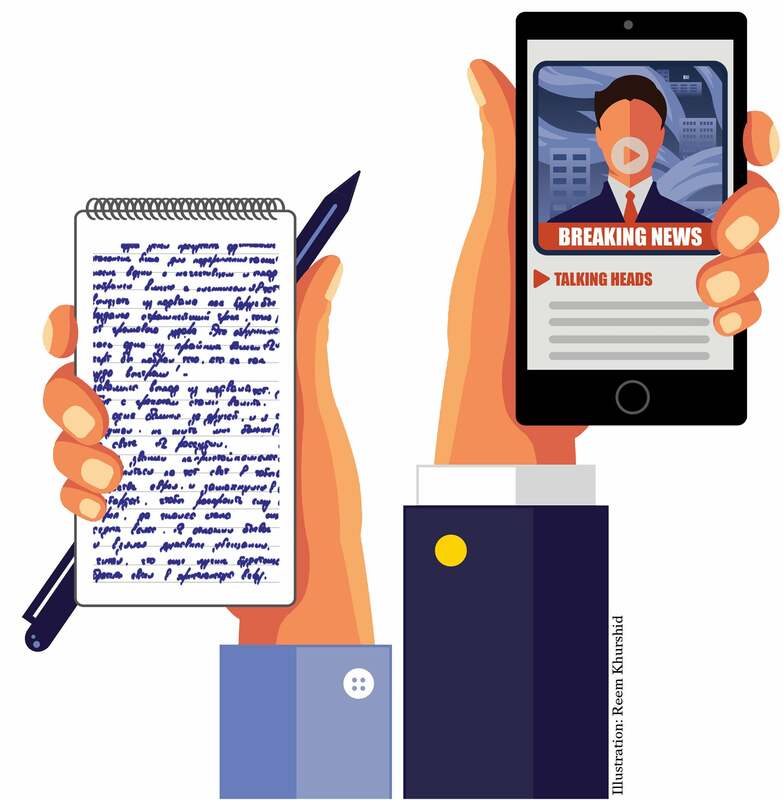 The last decade has seen a number of Masters and PhD students conduct content analysis of Pakistan’s newspapers. Having read half-a-dozen of these rather heavy going theses, I can summarise their conclusions: ‘The English language press is less sensational than the Urdu language press’. It may sound like a recipe for low circulation but dawn.com’s growing international readership suggests otherwise. Some Pakistanis may find Dawn a shade liberal but many readers abroad looking for an independent, reliable voice, see it rather differently. The writer is a British journalist and author of ‘Pakistan: Eye of the Storm’. The writer, a Senator, is former editor of the Herald, and has served as Pakistan’s Information Minister and Ambassador to the USA. She is Chair of the Jinnah Institute and Vice-President of the Pakistan People’s Party Parliamentarians. SOME of the uncertainty in the present political set-up has been removed by the election of Mr Ghulam Ishaq Khan as President and the confirmation of Ms. Benazir Bhutto, through a vote of confidence, as Prime Minister of the country. The vote in either case was more than convincing. The constitutional requirements that had to be fulfilled following the dismissal of the earlier Assemblies and the death of General Ziaul Haq have thus been completed. The President had to be elected within 30 days of the elections to the National Assembly and the Prime Minister had to get a vote of confidence from the same body within 60 days of his or her nomination to that post. All this having been satisfactorily done, the country and the Government should now be in a position to turn their backs upon the past, and its share of bitterness, and look forward to the tasks that urgently await tackling. It is fairly obvious that there is mixture of continuity and newness in the composition of the present governmental structure – the continuity being symbolised by the person of the President and the newness by the Prime Minister. The present situation is accordingly both a continuation and a modification of the past – and not, it bears remembering, a complete break with it. Mr Ghulam Ishaq Khan brings experience to his post. In fact, his election comes as the crowning event of a remarkable career. He has had a ringside seat at all the important changes that have taken place in the country for the last 20 years if not more. Ms. Bhutto for her part brings a sense of daring and innovation to her position. Complementing each other’s role, the two can keep the ship of state on an even course. In this connection, it is worth bearing in mind the tensions between President Zia and Prime Minister Junejo and where these eventually led. It hardly needs any emphasising that Pakistan is on the threshold of a great opportunity. Given a semblance of good sense and goodwill, the foundations of democracy can be strengthened and the recurrent nightmare of military rule can be prevented. But if greed and unprincipled ambition are to be the portion of our national politicians, then the only thing they will be doing is to tempt the furies watching from the wings. Care, caution and moderation should be the watchwords at this hour. Other things can come in their own good time. THE wave of euphoria which the PPP was riding since the assumption of power has been cut short by the crisis in Baluchistan. The Governor quite emphatically has said that once he had received advice from the Chief Minister to dissolve the Assembly he was bound to act accordingly and that he was under no obligation to inform either the President or the Prime Minister about his proposed course of action. That may be the strict constitutional position but it still begs several questions. Given the controversy surrounding the election of Mr. Zafarullah Jamali as Chief Minister, should not the Governor have taken some time to weigh the advice tendered to him by the Chief Minister, instead of acting so precipitately at such an unearthly hour of the night? At any rate, pure legalism aside, the Governor, with no small help from the beleaguered Chief Minister who was increasingly finding it difficult to cobble together a working majority in the Baluchistan Assembly, have triggered a political crisis with grave implications for the country. DRUG trafficking poses one of the most daunting problems that the new democratic government must address. The commitment to deal with the drug issue on a priority basis was made by the Prime Minister [Benazir Bhutto] in her first news conference. She also announced that she would set up a ministry of narcotics control to curb drug trafficking. The drug underworld flourishes more easily in authoritarian societies. It is impossible to deny the fact that the drug problem rapidly assumed menacing proportions during the past seven or eight years. According to official estimates, Pakistan now has 1.9 million addicts and more than 650,000 of them are hooked on deadly heroin. Unofficial figures are a lot more scary. Likewise, foreign experts estimated that narcotics worth $3.5 billion had been smuggled out of Pakistan in a year. Recent reports have indicated substantial increase in the country’s poppy production – so much so that the prices of narcotics fell in the tribal area. AFTER the freeze in the troubled relations between India and Pakistan which lasted quite a few years, we are witnessing the first signs of a thaw. There has been a major display of diplomatic purposiveness at the level where it counts. The talks between Prime Ministers Rajiv Gandhi and Benazir Bhutto which were held in a cordial and even an upbeat atmosphere have been followed by the conclusion of three agreements. As both leaders stressed more than once during their joint Press conference, these are the first agreements between the two countries since the conclusion of the Simla accord – a gap of 16 years. Mr Rajiv Gandhi’s trip of Pakistan was also the first by an Indian Prime Minister for 28 years. There is thus a sense of expectation on both sides, fuelled in no small measure by the accession to power of a democratic government in Pakistan. That democratic governments can get along better with each other is, however, an assumption that has yet to be proved right empirically. But it need not be dismissed out of hand either. If for any reason time is wasted, the present momentum can soon peter out – which will be a pity since the stars appear to be more favourable for breaking the logjam in India-Pakistan relations now than at any time during the last two decades. All the same, expectations need to be kept in some sort of a check since euphoria can be as dangerous a state of mind as morbidity or paranoia. A change of leadership alone, while it may be important in its own way, is by itself an insufficient basis for a dramatic improvement in ties between two countries as pock-marked by suspicion and conflict as those between India and Pakistan. The obvious difference in the two countries’ positions on Kashmir came out clearly. Afghanistan also is a point of friction. Although a conducive atmosphere can help promote the chances of a settlement between the two countries, hard and patient negotiations lie ahead before there can be progress in areas of greatest disagreement. If expectations are unrealistic at this stage, the mood could quickly sour if progress is inordinately delayed. But meanwhile there must be the satisfaction that a good beginning has been made. THE crisis between the Federal and Punjab Governments has now exploded in full public view. In retaliation for the IJI dissidents’ PPP-inspired move to table a no-confidence motion against Mian Nawaz Sharif, the IJI leaders plan to move a motion in the National Assembly expressing lack of confidence in the Federal Cabinet. Normally, a no-confidence move against a Cabinet in a parliamentary system is very much a part of democracy’s drill; it is not something to look askance at. Democracy in this country is still like a tender sapling. It needs to be nourished with loving care and gaurded against inclement weather, so that it can grow into a powerful tree. It is therefore best if the coming showdown is called off and a new beginning made towards an adjustment arrived at in the spirit of honouring the popular verdict. WITH the resignation of the three Mohajir Qaumi Movement ministers from Sindh Cabinet in the wake of the alleged three hour ‘house arrest’ of the MOM chief, Mr Altaf Hussain, in Hyderabad on Saturday [April 29], the political and ethnic situation in the province has taken a turn for the worse. On Sunday evening, the MQM Chairman, Mr Azeem Tariq, gave the PPP Government 24 hours to dismiss the Hyderabad administration, failing which the MQM ministers would be withdrawn from Sindh Cabinet. While the ultimatum was duly carried out in spite of ongoing negotiations between the two parties, the possibility of a patch up has been left open by the assurance held out by the MQM Chairman that the PPP MQM accord known as the Karachi Declaration would remain intact and that the MQM would continue to support the PPP in the National Assembly. NOW that the voting on the no-confidence motion against the Prime Minister has passed off peacefully, can a somewhat bemused nation expect some respite from its leaders and politicians? From both sides certain excesses may have been committed. Certainly, it would have been much better if the enforced sightseeing in Murree and Mingora had been avoided. Calling upon the Army to help keep the peace in Islamabad was also somewhat unnecessary. But all said and done, it was almost anti-climatic how peacefully events passed off in Islamabad on November 1. This difficult episode having now peacefully concluded, the nation has a right to expect that some of the passion rocking the political arena would subside and that leaders on both sides of the divide would take stock of the situation calmly and turn their attention to the myriad problems facing the country. The events of the last 11 months, let alone the last 10 days, have gone a long way to demonstrate the innate solidity of the split verdict of the November elections. All efforts to upset this arrangement, ordained by the collective wisdom of the people of Pakistan, have failed. It is high time, therefore, that this basic fact was accepted. This does not mean that the Government should cease trying to broaden its base or that the Opposition should stop opposing the Government. Healthy controversy and sharp debate are the very essence of democracy. But it does mean that both Government and Opposition should conserve their energies for worthier purposes. So far we have had plenty of horse-trading, but not much of policy formulation. No wonder, Parliament has passed hardly any new legislation during the last 11 months. Pakistan cannot afford any more of this drift. It is the Federal Government which must give the lead in pulling the nation towards some worthwhile objective. Which is reason enough, therefore, for the Federal Government to avoid divisive and controversial policies like the People’s Works Programme or the induction of lateral entrants into the civil service. It is also scarcely advisable for the Federal Government to open new war fronts in every direction. The simmering controversy over the appointment of senior judges can still be avoided. If this passion for tilting at windmills was curbed, there is no reason why the sun should not shine on Pakistani democracy. THE Leader of the Combined Opposition Parties (COP), Mr. Ghulam Mustafa Jatoi, said here [Islamabad] on Wednesday [January 10] that during a meeting of the Opposition leaders had with the President, Mr. Ghulam Ishaq Khan, the Opposition brought to his notice a host of complaints against the Federal Government and sought his intercession on their behalf. The official Press release said the President expressed “the confidence that the legislators would follow a legal, constitutional and democratic path to sort out their differences”. At his Press conference, Mr. Jatoi said that the COP leaders believed that the Federal Government had been harassing the Opposition and started a “regular witch-hunt” of all those who were opposed to the People’s Party. The President was informed of the alleged abuse of Governmental powers and funds by the Federal Government. The COP leader promptly said, “No”, when asked whether the Opposition would be willing to meet the Prime Minister if she invited the Opposition over. He, however, added after a pause that any such invitation would be discussed by the COP whether to accept it or not. He rejected a suggestion that the COP leaders should make a move to meet the prime minister directly to discuss their complaints and said, “We will not meet her: it was her duty to do justice”. TENSION and violence stalk Sindh once again. The riot that erupted in Hyderabad and later spread to Nawabshah was contained. But its fallout seems to have affected Karachi with a sudden and phenomenal increase in acts of violence. These included shootouts among student groups, kidnappings of and by students belonging to APMSO and PSF, and attacks on homes of MQM and PPP activists, including three provincial Ministers, besides sniping by unidentified men riding cars. One comment can be made safely: the parties involved have continued to maintain a stance of eyeball-to-eyeball confrontation. Each day’s newspapers are full of allegations and counter-allegations by PPP and MQM blaming each other for the crimes they might or might not have committed. Surely this is not the way in which political forces are supposed to conduct their contest and sort out their differences within a national framework. However, in the kind of politics we are witnessing is Sindh — politics in which no holds are barred — how can one expect positive results? All those politically engaged in Sindh must ask themselves whether it is wise and proper to let political polarisation continue.We are not asking straightway for a political reconciliation, for that is hardly realisable in the immediate context. But it is certainly possible for the two parties to resume communications for the limited purpose of managing the crisis and preventing it from spilling over into the domain of inter-ethnic relations. THE Sindh Government’s long promised crackdown on ‘criminals’ and ‘terrorists’ has finally begun. So far, more than 1,000 persons considered to be outlaws, suspects and their collaborators have been rounded up in swoops made throughout the province. An unfortunate offshoot of the crackdown is the situation in Hyderabad. In clashes between security forces and people variously described as terrorists by the Government, and innocent citizens by the Opposition, dozens of people have been killed. There have also been unconfirmed reports of some policemen looting some shops in Hyderabad and committing other excesses. Undeniably, the law enforcement agencies’ task is difficult in a situation of blind antagonism and distrust between groups opposed to each other. Evidently, many of those wanted by the authorities got wind of the imminence of the operation and managed to make good their escape. Quite a few must have been provided sanctuary by the influential people who have always shielded them. As for foreign agents directly referred to by the Prime Minister only the other day, none has been caught so far. This failure is greatly to be deplored. It is difficult to say who is the victim and who is the oppressor, and whether the conductors of the anti-terrorist raids are observing the necessary restraint and impartiality, making sure that innocent people are not victimised. Much of the agony the people have endured could have been avoided if the Government had acted earlier and not now when so much blood has already flowed, so many deep wounds caused and such colossal sufferings inflicted upon the people. This has been an unpardonable failure, no matter what the technical, administrative or other explanations are. 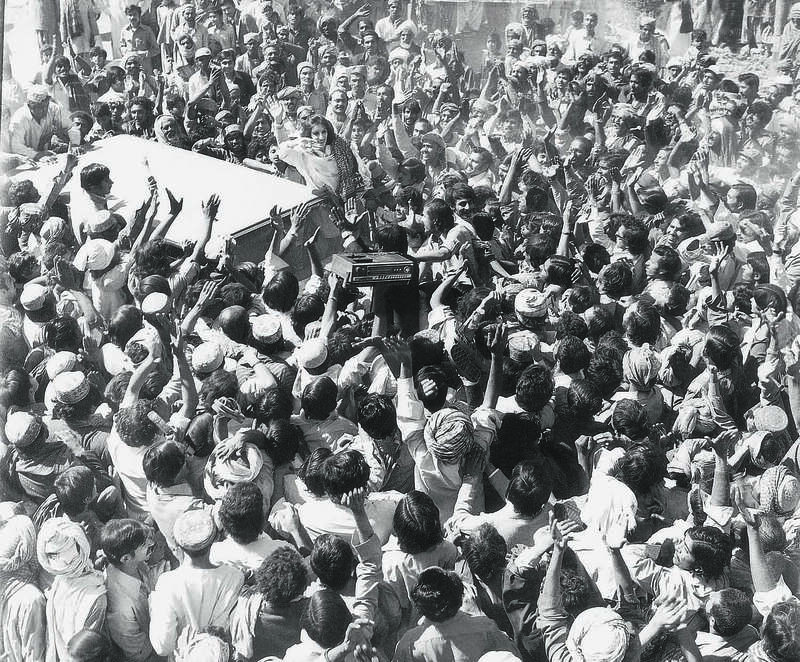 THE dissolution of the National Assembly and the dismissal of the Bhutto Government brings to an end another chapter in Pakistan’s tumultuous history. It was not wholly unexpected since the country at large, and Islamabad especially, had been seething with rumours for the last two or three months about some action against the Federal Government. In the event, Mr Jatoi’s declaration that the Combined Opposition Parties would move another motion of no confidence in the National Assembly was little better than a smokescreen for the real action being prepared behind the scenes: the outright dismissal of the National Assembly and the PPP-dominated provincial assemblies of Sindh and the Frontier province. The reasons for this action are enumerated point by point in the President’s dissolution order — reasons which the President amplified further in his address to the nation. Be that as it may, there is no getting round the fact that the outgoing Federal Government had accumulated rather a grim record for itself. Its working was impaired by a considerable amount of immaturity and an inability to focus on the real issues facing the country. The widespread aura of corruption that came to surround it did little to improve its image. Putting the events of this summer together it seems hard to escape the suspicion that the triangular relationship between the army, the President and the Prime Minister had broken down. IT used to be a rule of Pakistani politics that when the country’s prime ministers were removed from office they were removed for good, never to return. It is a rule that no longer holds because Ms Benazir Bhutto has just become the first Pakistani politician to be returned to the prime ministership twice. This is a tribute both to her own determination and skill as a leader and to her party. Among all the bad things that can be said about Pakistani politics this transition is a happy development. But several other things con­tinue to fuel a sense of concern. Since Ms Bhutto is presiding over a coalition dependent for its survival on the support of independent MNAs, it is only natural to won­der how strong it will be. Will it be able to look ahead or will its attention be distracted by the need to keep itself afloat? We will have to wait and see. It is true that many needless mistakes were committed by Ms. Bhutto’s first government in 1988-90. But it is also true that it was operating in a hostile environment, with both the president and the army chief looking upon it with barely concealed hostility. Those hostile factors are no longer in play. This game is, therefore, Ms. Bhutto’s to win or to lose. If she gives a sense of direction to the country, she will earn the abiding admiration and support of the people. If she once again loses her way, she will have no one to blame but herself. THE government’s quick response to the Supreme Court’s directive that the judiciary be separated from the executive by March 23, 1994, holds out the hope that one of the most abominable legacies of the colonial rule would finally be done away with. The issue has had a chequered history, with successive governments making solemn vows to give the judiciary complete independence at all levels, and then doing nothing to honour them. It is reassuring, therefore, that the government has finally decided to do what should have been done long ago. The law minister says that preliminary work for the separation of the judiciary and the executive has already been initiated and the objective shall be achieved by the stipulated date. However, any mood of celebration on this score must be held in check until the process has been fully and finally carried out. THIS was a straight contest between the PPP nominee, Sardar Farooq Leghari, and the choice of the PML(N), the acting president Mr Wasim Sajjad. Even so the PML(N) might not have been prepared for the wide margin with which Mr Leghari has won — getting 274 electoral college votes to Mr Wasim Sajjad’s 168. For the first time since General Ziaul Haq twisted the 1973 Constitution, there is harmony between the offices of the President and the Prime Minister, with both the incumbents belonging to the same political party. This gives rise to the certainty that the nation would be spared the kind of conflict and confrontation which ever since 1988 lent Pakistani politics the aspect of a tribal battlefield. Harmony between these two highest offices of state also takes much of the sting out of the Eighth Amendment which, of course, is not to say that the government should not think of amending this queen of amendments. IT was no secret that Begum Bhutto and her daughter the Prime Minister did not see eye to eye an the question of Murtaza Bhutto’s entry into national politics. But after Ms Benazir Bhutto’s elevation as chairperson of the PPP the split at the top of the party has been sealed, with the break with Begum Bhutto now complete. The resolution passed by the PPP Central Executive Committee (CEC) does not say what hay happened to Begum Bhutto’s chairmanship but it is clear that she has been unceremoniously removed, the CEC not bothering to pay her even a perfunctory tribute. In the events leading to this break Begum Bhutto behaved more like a mother than an elder statesperson. In the recent elections she campaigned on her son’s behalf against the party’s nominees. This would obviously not have gone down well with Ms Benazir Bhutto who considers herself the rightful heir to her father’s political legacy. THANKS to his famous amendment, Senator Pressler is a widely known if not a household name in Pakistan. Senator Pressler says that both India and Pakistan are ready for the inspection of their nuclear facilities. Whether India really is or not we do not know but about Pakistan’s willingness to have its nuclear facilities examined there should be no doubt, provided only that the standards applied to Pakistan are applied to its giant neighbour as well. In fact, Pakistan’s whole case about its nuclear programme rests on this desire for parity. And this precisely is the central flaw of the Pressler logic. Responsible people in the United States are beginning to recognise how the insecurity bred by the Kashmir dispute has fed the arms race between India and Pakistan. But this linkage seems to escape Senator Pressler’s mind. By signalling its willingness to do away with the Pakistan-specific language of the Pressler amendment, the Clinton administration is on the right track. MR Yunus Habib’s colourful career up the banking ladder is another reflection upon the sorry state of high finance and politics in Pakistan. Can we do nothing right and must fraud be an integral part of all our endeavours? Going by the revelations flowing thick and fast from the affairs of the Mehran Bank, it is clear that Mr Yunus Habib was running about the most corrupt bank in the country. The list of people whom he lent or rather gifted money is impressive and if the worst rumours are to be believed, this list reaches from one side of the country’s political divide to the other. And what Mr Yunus Habib reportedly got in return were favours which enabled him to sustain his buccaneering bank for so long. Jam Sadiq Ali, one of his great benefactors, was instrumental in getting many official accounts transferred to the Mehran Bank’s coffers. But Jam Sadiq’s successors saw to it that this practice was continued. But the question that must bother amateur detectives is as to what possessed the ISI, the country’s premier intelligence agency, to deposit its foreign account with Mehran Bank? Did the ISI’s masters have no inkling about the things that were going on in Mehran Bank? The greed or foolishness of politicians is taken for granted by the ordinary people of this country. But that the knights of the ISI should have allowed themselves to have been taken for a ride in this scandal is a more serious matter. Which brings us to the question of General Aslam Beg’s involvement in this scam. What was he doing taking huge amounts of money from Mr Yunus Habib? And where did he spend this money, on his person or for some other dark purpose? General Beg has certainly done no service to the high office which he held in the past. Many of his activities as army chief were already the subject of public controversy. The latest revelations only confirm the impression spread by the earlier stories. The least that can be said about him is that he should explain his position to the nation. As it is, public standards of morality have plunged drastically. This is a chance to retrieve the situation to some extent or at least to make a fresh beginning. THE mafia-like infighting between the two factions of the Mohajir Qaumi Movement (MQM) has for the past several months been taking a heavy toll of human life — and the end is not yet in sight. Reports of the wanton killings in all their gory details have been appearing with nauseating regularity in the Press and there is not the slightest doubt that a spirit of vendetta is at large. Violence, sometimes in its most heinous form, is seen as the only means of settling political scores. Gunfights on the streets, aimed at eliminating activists of the rival faction, take place every now and then, and not unoften innocent persons get caught in the cross-fire. One understands that the differences between the mainstream MQM, which apparently commands a strong mass support, and its breakaway faction, the Haqiqi, are irreconcilable with neither being inclined to consider the possibility of restoring organisational unity. What is incomprehensible is that elements in both factions should demonstrate an utter lack of concern for human life and the misery and sorrow which inevitably follows vendetta killings. The bloody feud is destroying what remains of the peace and contentment of a distraught city and adding tremendously to terrible sense of insecurity to which its unfortunate citizens have been condemned. A most bewildering aspect of the present situation is that the fratricidal conflict is taking place at a time when there is a strong presence of law enforcement agencies in Sindh, particularly in Karachi, and the Operation Clean-up, has been under way in the province for more than two years. THE truth is that while Karachi is being devastated by violence and strife, those who control the destiny of this metropolis are safely ensconced in their ivory towers, hundreds of miles away, busy scoring points against one another. The decision makers in Islamabad, the opposition lead­ers and the MQM leadership in self exile in London, all of whom have contributed to Karachi’s tragic plight, have not deemed it necessary to visit the city and see for themselves the havoc their misguided policies and actions have wreaked on it. Their favourite pastime is to blame each other for the crisis. Describing the situation as an insurgency staged by terrorists, the government has chosen to counter it with force. That is why more forces are to be inducted into the city. Constabularies from Punjab and the Frontier and Baloch militias are to be brought in to put down the ‘rebellion’. Such administrative measures without any concurrent political move for conciliation can be disastrous. These units are not trained for law enforcement duties in densely populated urban areas. Mary of them would not even be familiar with the environs of Karachi or the language and culture of its people. It is very likely that they will perform their assigned task in a manner that would make a messy situation only messier and more intractable. THE four senior army officers, arrested for conspiring to storm a corps commanders’ meeting in Rawalpindi to stage a bloody coup, have been charged with waging war against Pakistan and attempting to seduce persons from their allegiance to the government, a Defence Ministry Press release said. Major General Zaheerul Islam Abbasi, Brigadier Mustansar Billah, Colonel Mohammad Azad Minhas and Colonel Inayatullah Khan were arrested in the last week of September for conspiring to kill the president, the prime minister and the army top brass to bring about an Islamic revolution in the country. The accused, to be tried by the Field General Court Martial, would be given an opportunity to nominate their defending officer from the army as well as defence counsel from the civil of their own choice. The officers were being allowed regular meetings with their family members. No date has yet been fixed for trial. The court, headed by a major general, yet to be named, will have four senior officers of the rank of brigadiers and colonels as its members. MIR Murtaza Bhutto’s killing is a tragedy for his family which over the years has had more than its share of suffering. The father reaching the heights of political authority and leaving his stamp on the country’s politics and then losing his life on the gallows. The younger son dying in a far-off land in still unexplained circumstances. And now the remaining son brought down by a hail of police bullets when his own sister is ruling the country. Pity Begum Bhutto all the men in whose life have come to such untimely ends. This is the stuff of tragedy. But Murtaza Bhutto’s killing also blindingly reveals the depths to which we as a society are descending. True, no one is above the law, neither a hari nor a wadera. Even so, it is not much of a society when the Kalashnikov, that accursed legacy of our Afghan involvement, becomes the ubiquitous symbol of enforcing the majesty of the law. If Murtaza Bhutto was wanted by the police, and even if he had been booked on specific charges, could the Karachi police not have gone about apprehending him in a less gruesome manner? 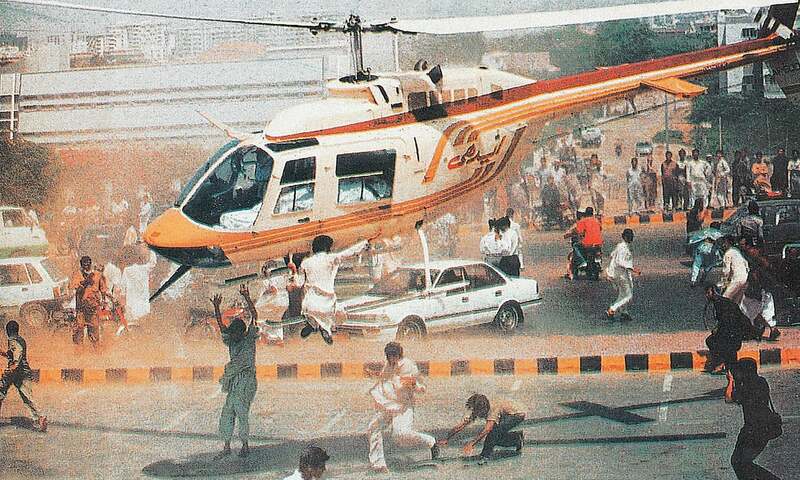 If Murtaza Bhutto had to be apprehended, the police had the entire day before them to do this. Instead of which they allow him to leave his house at around six in the evening and then lie in wait for him when he returns after addressing a public meeting. It is also not as if a stray bullet hit Murtaza Bhutto. He was hit by at least six bullets, which should give an idea of the withering fire to which his vehicle was subjected. Wearing the uniform of the state does not give anyone the licence to kill. It entails a special responsibility to use force only as a method of last resort and even then not to use it indiscriminately. According to Press reports, the police kept firing for nearly half an hour, which does not exactly bespeak a tempered use of force. Furthermore, even when the firing had died down, the injured, including Murtaza Bhutto, were not removed to the nearby Mideast Hospital immediately but after an inordinate delay. Were the police on the scene of the clash paralysed by the audacity of the deed they had committed or was it a spirit of vengeance at work against someone who had “raided” two CIA centres (as the police Press note says) for the release of an arrested comrade? Official inquiries in this country are usually sham affairs in which the truth is often concealed rather than exposed. But since on this occasion it was Mir Murtaza Bhutto and not someone else who fell a victim to police highhandedness, let us hope that for once a proper inquiry is conducted, on the basis of which action is taken against anyone who may have exceeded his authority or limits of moderation and restraint so very essential in a situation like this. When the initial sense of grief over Murtaza Bhutto’s death subsides, hopefully after an impartial inquiry has shed light on the murkier aspects of this tragedy and action has been taken against the guilty, the government must take urgent steps to put a check on the growing brutality of the police and, at the same time, think hard about reforming the police system as a whole, beginning preferably from Karachi. HATEVER else may be said of the President’s decision to dissolve the National Assembly and send Ms Benazir Bhutto’s government packing, surprise is not a reaction that it will evoke. The precise form and timing of the government’s demise may not have been known but that it was in deep trouble and indeed virtually paralysed was known to all but the most optimistic or the congenitally purblind. Ms Bhutto’s troubles were largely self-inflicted. She could not control corruption and she could not give the country anything approaching good governance. Admittedly, Ms Bhutto had not inherited an easy economic situation but the pain that came with this was aggravated by ostentation and the widespread conviction that while things were getting worse for the common man, the rich and the powerful were having a merry time. Not to be discounted also is Ms Bhutto’s arrogance of outlook which made it difficult for her to accept mistakes or even to acknowledge reality. This in the end proved to be her government’s undoing. Where she should have been prudent she was needlessly reckless, picking an entirely avoidable clash with the Supreme Court and straining her relations with the President who earlier had been extending his ungrudging support. Even when all the world was cautioning Ms Bhutto to tread carefully and to read the emerging writing on the wall, she persisted in her wilful ways. Her strength primarily had rested on the support of the President (who at one time was perceived as being her man) and the perceived neutrality of the army. 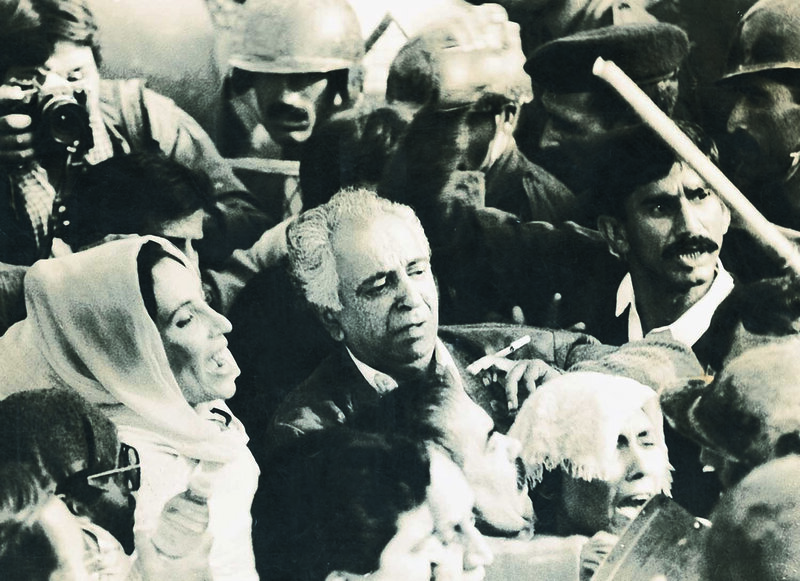 With the President going on the war-path, Ms Bhutto’s position became untenable. Four National Assemblies dissolved in just over eight years: this record does not say much for Pakistani democracy. The only representative government in Pakistan’s history to have completed its term was that headed by Zulfikar Ali Bhutto and even that came to a sticky end. True, in a society where the tradition of authoritarianism has struck deep roots, there are vested elements which have no stake in the survival of democracy. But it is equally true if not more that the guardians of democracy have often turned out to be the worst enemies of democracy. Mian Nawaz Sharif was not brought down by any perverse mixing of the stars but by his own rashness and heedlessness. Benazir Bhutto need not have tempted the fates in the manner she did. What is it that makes our political class so oblivious of ordinary calculations? Or what is it that drives it to court disaster time and again? These questions will be asked as preparations get under way for the election promised for February the 3rd, 1997. This summer voices were heard advocating the merits of a longer interim period so hat accountability was carried out and the national stables cleansed before the holding of elections. It would be tragic if these voices were heeded because Pakistan throughout its history has paid a heavy price for constitutional deviationism. Rest in peace Bibi, For unknown reason , we cant tolerate good leaders. The only charismatic personality PPP was lucky to have also Pakistan was blessed to have!!! lots of regards and prayers for her but her generation next hasn't recognized their potential yet!!! Under her government military operation was launched against Mohajirs in Sindh in which hundreds were extra judicially killed, she was PM when her own brother was murdered and the real perpetrator are still at large. It is true that Benazir Bhutto was a gracious host when Rajiv Gandhi, her Indian counterpart, came visiting. The two at the time had tragic family histories behind them but, strangely, both of them died early in the same manner, that is, bomb blasts during their public meetings. Zardari and BB were partners in crime and corrupt to the core. The commissions collected from Swedish company were used by BB to buy a necklace from a London jewelry store. The check to purchase the jewelry was signed by her. I dont know why people admire her or what good she did for the country, it was just corruption and violence during her tenure. BB was genuine leader. A selfless, honest and loyal to Pakistan. She was not after money but was for the welfare of Pakistani people. Like everyone makes a mistake that is irreversible she MARRIED a CORRUPT and a CONN man AZ and paid with her life. A very sad chapter of Pakistan's history. What a great, honest analysis & summation by Mr. Rehman whose insights are always precise and an unbiased narration as well as exposure of in depth behind the scene political factors and conspiracies. A befitting honor to the Daughter of the east, may her soul rest in Peace. The greatest misfortune of Ms Bhutto was her marriage with Asif Ali Zardari. @Pak Khan” I dont know why people admire her or what good she did for the country”. Continue to appreciate, admire and even worship ZiaulHaq, Musharraf, & Ayub Khan-the authoritarian uniformed rulers who drove Pakistan into the raging chaos of terrorism, sectarianism, myopic idealism and sick intolerance. I am not aware of the constraints she actually encountered but gut feeling is that BB's performance left a lot of room for to criticize. Her most awful decision was to give assent to and support project Taliban. Her keenness can be gauged from the fact that she delegated whole project to Gen. Nasirullah Babar who had efficiently handled the first batch of holy warriors in 70's. The Boys of Babar ultimately were the ones who were incited to kill her. Clearly, the author has a soft spot for BB for he hardly makes a mention of Swiss Bank Accounts, Surrey Palace etc. when she was at the peak of her political career and she had knew the means of governance, the service of the nation, she was killed and nation was deprived of the leader. Afghanistan will not permit Pak to central Asia if India not given access to CEPEC ( Afgh President), clerical mistake in Election bill and several other heinous outcomes of these secularized sect's deeds. Zia was hero of Pakistan and this secular class has to eat dust eventually. "Young, charming and well-educated, she commanded sympathy across the land as the daughter of a former prime minister who many thought had been hanged unjustly." _ No fear Maryam will be the next female PM. Charming she isn't. Articles like above encourage people to believe that hereditary rulers of a country must be admired. It highlights that Bilawal will also be Pakistan's PM one day just because he is a son and grandson of a PM. Pakistan is their family property like a car which is passed on to the heir of the deceased. so when Zulfiqar Ali Bhutto was hanged , Benazir automatically became the leader of PPP. After her assassination her husband took over and now her son is ready to lead the party. There is every regard for her obvious qualities. However she would have been spotlessly admirable had she kept her own distance from corruption and prevented her husband from exploiting her. There is no reason to list the deatails but it appears that the entire PPP culture became different in its attutude towards corruption as well which lasts. @Ahsan Gul , AZ Spent 8 years in jail without any crime proved against him, he is the only leader in PAK who had life sentence without proof. It is easy to fell victim of a propaganda whose only objective is to malign the politicians and political system. You are judged by your association with certain people and her connection to Zardari says it all. All these supposed good "leaders" do is milk the country dry with their greed and malace. Everyone is a vulture who controls a mafia party. When was the last time we had a leader who actually worried about the people and worked for the betterment of the country rather than filling their own pockets? @Chacha The reason is clear and known to all. @sukhera Convicted and sentenced ( even if it was a suspended sentence nevertheless she was found guilty) yet p refer to her as shaheed In her will she handed the party to Zardari and her son yet they talk of democracy. Great analysis and whole truth. Great joke about necklace and Swedish SGS. Didn't she paid more than whatever (alleged) she got, her own life. I wish the people of Pakistan were educated enough to understand how they have been manipulated by all those who have ruled them, and are still ruling. they are the butchers to human race, they are the looters of the highest class. Feel bad and ashamed to be from among those who will sell their close ones for their personal benefit. EDUCATION..............................EDUCATION. EDUCATE THE NATION. It is a pellucid prose with satisfactory analysis of the Benazir era; and her legacy and work.No doubt, Benazir was an indomitable and erudite politician Pakistan ever has. Her vision to serve the down-trodden people of Pakistan went astray with her brutal assassination by the monsters of time. It is, in fact, true that it was an irreparable loss for the people of Pakistan. Sindh will take thousands of years to give birth such a great lady, who worked, in a true sense, to put democracy back on the rails and inspire the people of Pakistan to have bright future ahead. Unfortunately, the cruel hands of time pushed her back with brutality. However, the clouds of unfortunate and misery showed them up when Zardari became the part of Bhutto family. It was the time when the decline and fall of Bhutto legacy started. It continues till now. Zardari, who is considered, by the majority of Pakistan, a cruel, corrupt and murderer still lives like kings. But the day is not far away when he will be hanged, and have to answer of the all the wrongdoings. let's pray together. Bibi Rest in peace. May Allah forgive her and count her among His friends. Ameen. Good article like always. Had a eventful period throughout but because of her 'own' immediate relatives ( Maha corrupt Asif Zardari and her slain brother Murtaza) caused her downfall. 1988 election rally picture shows people without beards. Fashion does change over period of time. She was a "log jam in the river of progress". There is nothing useful that makes her stand out, while she was in power, except for corruption. All she did very competently I might add was fill her and her family's (Zardari) pockets. She is simply another leader among the long list of corrupt leaders that Pakistan has had throughout its history except that she is female. Unfortunately her involvement in corruption changed the culture in the party and the country. She tragically ignored the signal given at Karsaz and then before Liaqat Bagh. Still she could have done a lot which was lost. She was a leader till she got married to the Wadera. He literally destroyed Bhutto family. Once she became PM she did not have good compétent people around her and lost the sight what she stood for. Nawaz and his bosses never let her think about Pakistan. Same Nawaz now talks against the bosses who created and made him. He still is nothing without Establishment support. She was a daughter of a civilian dictator land lord. She never did any single good for Pakistan. Absolutely the real losers were and are the people of Pak whether there is govt of PPP or PML((N). What about the election manifesto of " Roti,Kapra,& Makan".Ofcourse the elite ruler wasted maunds of roti, in their expensive feasts at Clifton,DHA palaces,or in Lahore Gulberg,DHA, they had their Palaces ,and Complex of Houses,like in Karachi they bullied away the neighborhood and grab their houses, as far as Kapra is concerned they buy from London Expensive Stores like Harrods, or their hobby includes shopping of jewelry from Paris. Now if they dare to look at the govt hospitals, the situation is scary,all the hospital waste piled up outside the hospitals, and the sanitation or hygiene nowhere,the broken roads, the missing manholes lids,the streets subject to street crimes at any moment. The common man,the poor,the peasants, so far did not get Roti,Kapra,or Makan. The elite rulers got every luxury,every perk, the nation bearing deadly increasing loans & debt, where is the prosperity. After going through the report I realized we don't deserve great leaders, what we need are mediocres and losers ,as the present lot represent. Benazir was no doubt courageous and bold. But not for Pakistan and people. Like all other leaders lust for power and money made her compromise principals. She could not tolerate her own brother. Corruption became rampant during her rule . Zardari was acquired Mr ten percent title during her tenure. In her murder people are the real losers. There have been books published in the last three to four years by Roshan Mirza and Amit Rai. They shed light on a very peculiar and dark side of the Bhutto family. We should refrain from glorifying public figures as deities and also accept them for what they are. Fragile humans with both public and private lives. This is the story of most corrupt so called daughter of east who made government plane a room as play ground for her children. She and her whole family did nothing for Pakistan except her husband Mr. 10% has looted to the tune of 10 billion US Dollars and her son wants to be Mr. 20%. @Syed Zafar Kazmi U.S.A her father was first chief marshal law administrator. So go teach you anti marshal law lesson some where else. But the marriage was no accident, both of them were people of very similar thinking. Unfortunately the majority of Pakistanis admires the corrupts (either from the military or civil service and politicians). On this ground Pakistan is an under-doveloped country for decades. After BB's martyrdom, we don't have any leader equally popular across Pakistan. Rest in peace. There is no doubt that her death was a tragedy (for her family certainly and possibly for the country). She was a acceptable/soft face of a country otherwise full of hardliners. Bit the party that she belonged to and that people that she surrounded by - worst thing ever for the country. Her father had a hand in division of the country. Her legacy was Zardari - the most awful thing to have happened to the country. Interestingly the Supreme Court is not a trial court, yet it tried a whole elected parliament and found it guilty without any appeal. No prosecution was held in a trial court that it was charged with of violating. Here you have PM in 2017 who was being tried for criminal abuse of power to accumulate wealth in name of his family, wasn’t suspended until the very last, and his party members weren’t held responsible for aiding and abetting in the crime, he is still head of his party in parliament and through it as per law in control of government. The saga of benazir government that the paper has shown in its article, opens a great responsibility on Supreme Court to reconcile its earlier actions with its present ones, as it otherwise shows a clear bias based on ethnicity. Bangladesh had suffered severely at the hands of an establishment that was mostly Punjab based and now you have an issue with Punjab based party being meted a very lenient course of action compared to Benazir who’s power base was from Sindh and south Punjab. A Canadian University Professor reviewed the Book when it was published. I had a chance to read it. She was a National Political leader but not in the group of Indra Gandhi, Thatcher of UK .Angela Markel of Germany. She was a Spoilt Brat by her family. 1.She tarnished her image by appointing her Husband Zardari as a Minister. who earned the title of MR. 10% (Time magazine) and aided and abated her husband in making money by dodgy means. She looked down on the people of Sindh. She coined the term "Once a Hari is always a Hari" I have no clue who Harries are, but it reflect her arrogance of mind. "Daughter of East". Is this an official Pakistani title or a title issued by the United Nations? Pakistan, like any other country, do only have citizens. She was the most corrupt leader in the history of Pakistan. Her main aim was to accumulate wealth, trample on human right. She was just another face of corruption, plunder, and kleptocracy. "The writer is a senior political analyst and human rights activist." How did a human rights activist conveniently ignore the massacre of thousands of Mohajirs in the streets of Karachi and Hyderabad under her direct orders? Quite a well written analysis. "The real losers as a result of Benazir Bhutto’s elimination from politics were the people. Their concerns remained off the government’s agenda and the dream of a democratic and egalitarian Pakistan receded even further." A very valid conclusion by the author. Successful or not, Benazir was playing an important role in Pakistan politics. Her very being in the political field was a beacon of hope for the population of both gender. She was a humane poltician, who abolished public flogging, and avoided death penalties. Pakistan truly is worse off without Benazir Bhutto. You will never be forgotten! Rest in peace. @Syed Zafar Kazmi U.S.A best comment yet! I don't care what the comments here say, anymore.. It is not the people's opinion that matters! Haters will hate, people will judge, slander, wrongly accuse, be jealous and what not---- time is the best judge. Today no one remembers Zia.. tomorrow no one will remember Nawaz or Raheel Sharif... but Bhuttos will continue to be remembered for a long time to come! @mariam a refreshing comment... God bless you! Within years Zardari, Nawaz & Shabaz, Achakzai, Altaf Hussain, Chaudharys they will all die just like the rest of us. Difference is, they had the chance to help Pakistan in which they, one can argue deliberately, failed. In my opinion the methodology of Benazir rule has earned her the respect of establishment after her first tenure as the PM. Marriage of Benazir with Zardari has extremely profound impact on the legacy and destiny not only of Benazir but also of PPP. Political heritage and its legacy shifted from Bhutto family to Zardari family. Seldom has a marriage had such a disastrous impact in terms of legacy,destiny and political heritage. @Abdul Rahman “her father was first chief marshal law administrator. So go teach you anti marshal law lesson some where else”. Her father was not the first Chief martial law administrator, he was first CIVIL chief martial law administrator, neccicitated by the then horribly chaotic circumstance, when half the country had gone due to the despotic adventurism of generals, and just within months her father had restored civilian rule and gave an unanimous constitution approved by all political parties including Jamat Islami, that had spearheaded opposition against creation of Pakistan some 40 years ago-a constitution that survives to this day despite the butchery of a general named ZiaulHaq. But, then I think I must not go beyond anymore or you will blame me for teaching lesson, although I’m convinced that your bias is beyond any lessons. To appreciate Zulfiqar Ali Bhutto, an individual &. Nation have to be first educated, and then have a fiber of gratitude and above all know the blessings of democracy & evils of dictatorship. Enough said and many apologies for an unintended lesson. A soul has left so I say RIP, but reality of Benazir is known to every Pakistani and the world that she was Mega Corrupt and shinned in grand looting along with her accomplice Zardari and many others. Now a 12 million dollar shrine in Sindh is made in her memory same Sindh where most of my people are still living the most saddest conditions of human life. Pakistan Zindabad, may we never see a leaders her Benazir or Zardari or Nawaz all same names of mega loot of people of Pakistan. @Muneer Very balanced comment. Agree 100 percent. @butterfly Mahatama Budh is quoted to have said “ I praise aloud the thought well thought, the word well spoken & the deed well done”. So, I today tread, undeservedly, in the same path of the great sage when you speak so well about the legend & legacy of Bhutto family. @imtiaz ali khan may you and your likes be ever awarded with characters like ZiaulHaq. A perfect match. @Umair “if she was alive our foreign policy could be very strong”. Sure, no doubt in that. A person with excellent education, deep sense of history and profound intellect like her father could have taken the country to its glorious destiny the Quaid had dreamed of. @D. Banerjee Thank you Bannerjee Saheb. I wish wistfully there were many more of your like in my country able to adore talent, statesmanship, political sagacity & wisdom to steer the country on a path of tolerance, egalitarianism, social justice & love for all instead of bigotry & extremism & hatred for what is different. Very smart lady with enviable English speaking capability. I am an ardent admirer of her. So unfortunate that people of Pakistan miss her leadership. @Dr M A Hussain “How did a human rights activist conveniently ignore the massacre of thousands of Mohajirs in the streets of Karachi and Hyderabad under her direct orders?” You, doctor have some fertile imagination more suited for fiction than medicine. She was a young women and led Pakistan. That is something to be proud of. But those who killed her tarnished that image of the country.